Parking: Park in the dirt lot off Farrington Hwy next to the Kaena Point State Park sign. 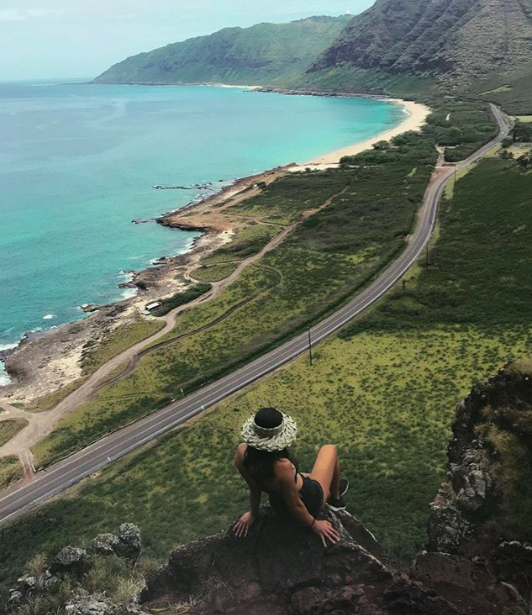 What to expect: The Makua Cave hike begins on the mountain side of the Farrington freeway. A few hundred feet after the parking lot you will find a path specifically for this hike. If you have passed the 45 MPH sign you have gone to far. The trail begins through the grass and will lead you to a rocky and somewhat slippery incline up the side of the mountain. After the short climb you will traverse southwest across the mountain until you have reached the Upper Makua Cave. Directions: Follow Farrington Highway about 3 miles past Makaha until you reach a dirt pull-out accompanied by the Kaena Point State Park sign. Park here and follow the directions above.